Pay off your mortgage years earlier, even while living from pay cheque to pay cheque! Why do people unquestioningly overpay the bank’s interest over the lifetime of their mortgages? It’s simple – because they don’t know any better. Consumers aren’t taught how to make their money work for them and how mortgage interest really works. Over the life of a typical mortgage, you will repay two to three times the amount of the loan. Why would you willingly do that if you knew there were ways to cut that number down and redirect those interest payments to other priorities, like retirement? 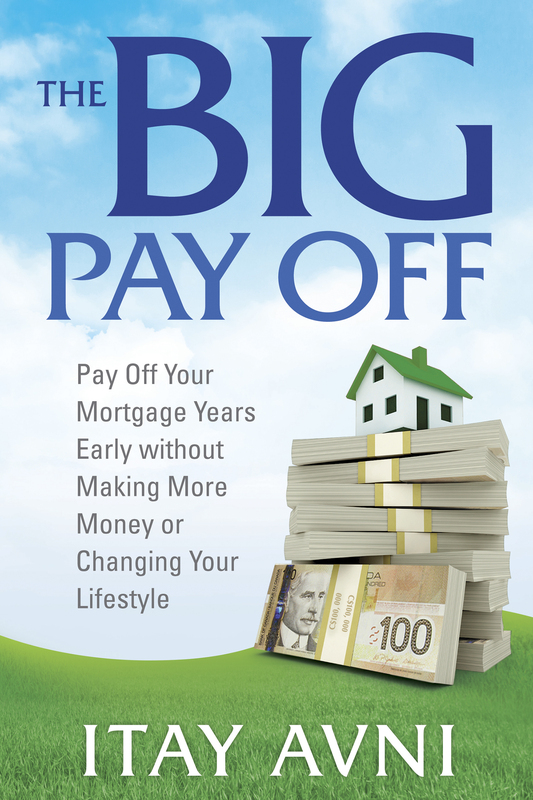 The BIG Payoff teaches you the Fast Track My Mortgage™ method that gives you the financial education you need to start taking control of your money. Easy principles that will enable you to pay off your house years earlier with amazing ease without the need to refinance or learn more than a few basic accounting rules. You can finally break free from the cycle of endless mortgage and debt. You will learn how to use the bank’s money before using your own and how to reduce debt quicker than you ever thought possible – all without changing your lifestyle or expenses. You will see big changes that small adjustments can make to your current financial picture, and you’ll gain a powerful system for building your retirement fund and your family security. How to significantly increase the equity in your home using the Fast Track My Mortgage™ method, take control of your mortgage and pay off your debts years earlier with a few simple steps. How to use the bank’s credit products to pay off your mortgage faster. How to pay off your debt even if you are living pay cheque to pay cheque. How to increase your credit score and its effects on your financials. Understand all the mortgage terms and their effects on your lifestyle. How to negotiate for the best mortgage. Why a bi-weekly program is not enough. Learn the secrets the banks don’t want to tell you. Uncover the money myths that hold you down. How to identify which bank accounts to use and which not to. How to identify the most cost-effective mortgage and when to refinance. How to build your retirement fund years earlier. Authors of Work Hard, Die Poor? Or Work Smart, Retire Young And Rich?